Expectations are increasing among building occupiers in controlling their environment, energy use or the way they operate their business. Technology is now allowing events to happen that were unheard of only a few years ago; just look at the way media is enjoyed, such as photos, music and games, either using the latest gadgetry available or through the internet. So why can’t all buildings be the same? Well the technology is available and the possibilities to connect the user to their building services are endless, all that is needed is the will and the desire to achieve them. For many years control system manufacturers produced systems with proprietary networks/protocols. This is now changing and the enlightened manufacturers are producing systems with the ability to connect to other systems. The equipment used in a building will normally come with its own controls or will have controls fitted during the installation phase of the project. These will range from a networked proprietary system (such as with air conditioning, fire alarm or security systems) to a boiler with some integral control or lighting with simple switching. Modern building management systems (BMS) need the ability to connect to all these different systems using either an open connection method, such as BACnet, LonWorks or ModBus, or a protocol converter and if none of these are possible then a hard-wired connection is the only option. With its Compri HX range of intelligent controllers, Priva Building Intelligence is leading developments in this field having implemented TCP/IP technology at individual controller level. An Ethernet port for rapid access to the building’s network and an embedded web server are delivered as standard. The TC WebDisplay hosts web pages with information, data and settings from the controller and from any other controllers connected to the network. When using a PC or a PDA with a web browser these web pages can be viewed and the settings modified. Because a standard browser is used, which is common throughout the world, no project-dependent files are required; this means that the building control system can be accessed anywhere and at any time. And to make an existing BMS compatible with the new standards, Priva has developed the TC BACnet Router, turning every controller into a BACnet controller thereby excluding the need for additional engineering and its additional time and cost. In this way, all previous investments in (Priva Top Control) equipment have been secured for many years to come. 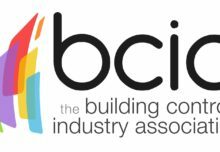 During the last few years many building control manufacturers have provided the ability to connect to BACnet, allowing different manufacturers’ equipment to be connected using this method. However it does not solve the problem of connecting all building systems together. Many lighting systems use DALI or LonWorks and metering systems tend to use ModBus or M-Bus and of course there are still many proprietary systems being used. TCP/IP systems are available using XML, OPC or other internet technology, which enables connection to IT systems and business programmes. Priva has taken an open approach when designing their hardware and software. Each controller comes with RS485/232 ports which can connect to many different systems whether they are proprietary systems or open. For example, at the new City Refrigeration Holdings’ HQ in Glasgow, the Priva BMS is conversing with a range of equipment complete with their own packaged controls and differing protocols. These include Denco packaged air conditioners providing close control within the IT suite, Daiken VRV split air conditioners, with their own packaged controls, and a back-up generator that utilises Modbus. Campbell Control Services designed the BMS around two Priva Compri HX8 controllers, complete with remote control capabilities, and four Compri HX4 controllers. Six Denco air conditioners manage conditions within the IT suite with the BMS taking a monitoring role via Modbus in order to report change-of-state and alarms. The Daiken units provide full air conditioning to the building and the controllers communicate, via BACnet over IP, directly with the packaged controls. Other projects where Priva controllers have improved communications include an installation where a Daiken air conditioning system and the building’s Satchwell BAS control system operated independently as they were unable to communicate. The installed Priva controller enabled their integration by simultaneously communicating with the Daiken system in BACnet over IP and to the control system in Modbus. But just because two systems should ‘theoretically’ communicate because they utilise the same protocol there can be problems. On a site where a TAC and a Johnson BMS had been installed their use of the ‘common Modbus protocol’ proved redundant simply because each could only operate as a network ‘master’ and only master/slave connections could be achieved. Priva’s Compri HX controllers can operate in both the master and slave role and in this instance by providing two Modbus slave ports on the one controller integration into one network was easily achieved. At another site 44 Trend IQ210 controllers managing 176 points were integrated into a Priva BMS over Modbus; the Priva system taking on the role of ‘master’ with the Trend controllers connected, via a third-party gateway, acting as ‘slaves’. To maximise the energy efficiency of installed plant it is important to be able to connect to them in an efficient and cost effective manner. When systems work in isolation they can become disconnected from the overall business operation and use excessive energy and work against the connected systems. An example is air conditioning, which will inevitably operate under its own control regime; however, if there is no communication with other plant in the building it could be in direct conflict with these systems, using more energy than is necessary to maintain the conditions required by the occupants. Also if there is no connection to the BMS central monitoring becomes impossible. Part L of the building regulations state that metering systems should be installed to allow at least 90% of the annual energy consumption of each fuel to be assigned to various end-use categories (heating, lighting etc.) In addition, any local zone control systems should be separately monitored. For buildings with a useful floor area of more than 1,000m² automatic meter reading and data collection facilities should be provided. Unfortunately there are a considerable number of buildings that do not come close to achieving this, even new build. At the North Star College in Swindon a Priva BMS has been linked into the IT network for easier communication with and monitoring of the building’s energy meters. A primary task of the BMS is managing the main electricity and sub-meters and as a result over fifty meters, both main and sub-metering, have been installed. Bailey Energy & Controls recommended this solution as they estimated that by utilising ModBus, rather than hard-wiring each meter, they could make significant savings on the installation cost. By recommending a Priva system, the company reduced the budgeted BMS cost by between 5-6%. In addition, Bailey Energy & Controls were able to eliminate the need for the ‘black box’ technology that normally enables communication between a metering system and a BMS, because the Priva system allowed a direct connection. Just as connectivity is enjoyed by us all when using our media systems, it is equally achievable in building services and brings benefits to all by reducing capital, design and installation costs, providing the right conditions to best enable staff to maximise their output, and reduce our carbon footprint by intelligently managing energy.